"A hypothesis that explodes all the psychiatric and psychoanalytic interpretations of anorexia... Sheds new light on the way we humans behave." "The conversation among Girard, Anspach, and Tacou yields a fascinating analysis of the phenomenon of fashion." All desires are contagious—and the desire to be thin is no exception. When everyone is trying to slim down, how can we convince anorexic patients to have a healthy outlook on eating? 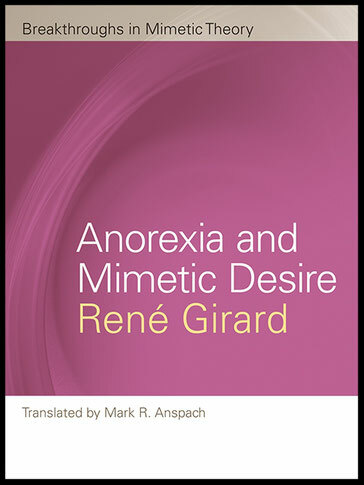 Mixing theoretical sophistication with irreverent common sense, Girard denounces our "culture of anorexia" and takes apart the competitive impulse that fuels the game of conspicuous non-consumption. Showing off a slim physique is not enough—the real aim is to be skinnier than one's rivals. In the race to lose the most weight, the "winners" are bound to be thinner and thinner. Taken to extremes, this tendency toward escalation can only lead to tragic results. "The anorexic is too loyal a citizen of our crazy world," Girard writes, "to suspect that... she is being pushed towards self-destruction."